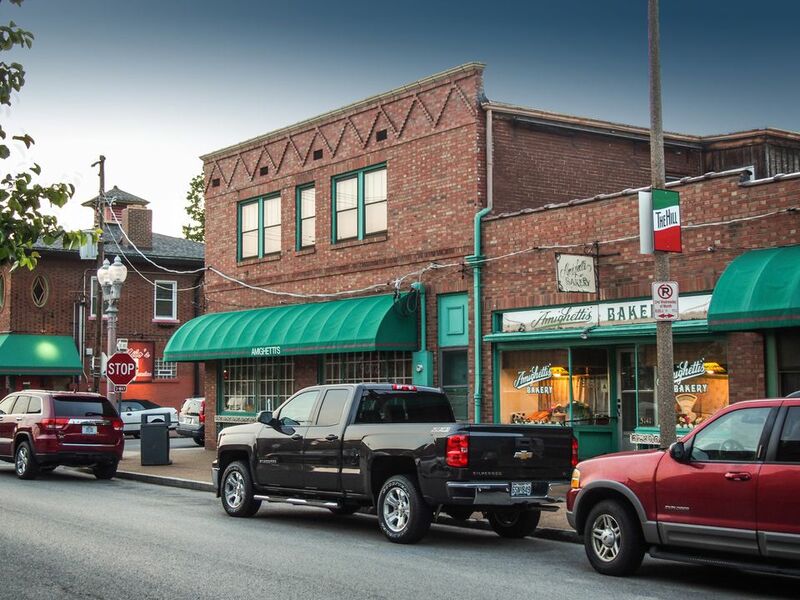 The Hill is one of the most popular neighborhoods in St. Louis, Missouri, with a vibrant street life, easy walkability, and tons of great shops and dining options. The Hill is the place to go in St. Louis for all things Italian, including food. Whether you're in the mood for a casual meal or a gourmet feast, you'll find it on The Hill. Read on for more information on The Hill's top restaurants and eateries. Charlie Gitto's has been offering fine Italian food on The Hill for more than three decades. The restaurant has a more upscale feel and is open only for dinner. It's a perfect pick for date night or a special evening out. Charlie Gitto's has a large menu featuring traditional pastas like linguini, lasagna, and ravioli, as well as beef, chicken, veal, seafood, and more. Lorenzo's Trattoria is one of the newer restaurants on The Hill. It offers a more modern take on Italian cuisine featuring menu items from Northern Italy. Signature dishes include braised ossobuco and chicken spiedini. Lorenzo's is open daily for dinner including Sunday. When you want to impress, make plans to dine at Dominic's on The Hill. Dominic's has been serving gourmet Italian fare since 1971. It was even voted one of the two best Italian restaurants in the country by Conde Nast Traveler. Dominic's features upscale cuisine like veal, beef tenderloin, and lobster ravioli. It's open for dinner only and the suggested dress code is business casual. Zia's is a good choice for a nice family meal. It has a casual atmosphere and a large menu filled with pasta, beef, chicken and seafood dishes. Zia's salad and toasted ravioli are also popular choices. Zia's is open for lunch and dinner daily except Sunday. Gian-Tony's specializes in the tastes of Southern Italy, served in a comfortable setting. The menu includes many favorite pastas—ravioli, tortellini, and fettuccine—along with beef, chicken and seafood dishes. For dessert, try the cannoli or tiramisu. Gian-Tony's is open daily for dinner. While not a full restaurant, Gelato di Riso is the place to go to satisfy your sweet tooth. The cafe offers a wide variety of rich gelato flavors including chocolate, salted caramel, and amaretto. There are also lighter fruit flavors like peach, blackberry, and banana. In addition to gelato, there are baked goods like scones, cannoli and pecan bars, plus gourmet coffee to wash it all down. Gelato di Riso is open daily from 8 AM to 9 PM.